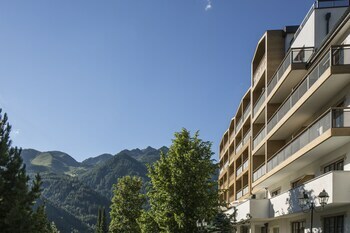 Located in Rio di Pusteria, Hotel & Spa Falkensteinerhof is in the mountains, within a 15-minute drive of Isarco Valley and Chiusa di Rio di Pusteria. Featured amenities include express check-in, express check-out, and dry cleaning/laundry services. A roundtrip airport shuttle is provided for a surcharge (available 24 hours), and free self parking is available onsite. With a stay at this apartment in Venice (San Polo), you'll be a 4-minute walk from St. Mary of the Friars and 11 minutes by foot from Rialto Bridge. With a stay at Hotel Al Vagon in Venice (Cannaregio), you'll be within a 5-minute walk of Rialto Bridge and Ca' d'Oro. Featured amenities include a 24-hour front desk and luggage storage. Located in Folgaria, Blu Hotel Natura & Spa is in the mountains, a 2-minute drive from Ice Rink Folgaria and 5 minutes from Golf Club Folgaria. Free self parking is available onsite. When you stay at Agriturismo La Lucia in Nardo, you'll be near the beach and 10 minutes by car from Porto Cesareo Marine Protected Area. Free self parking is available onsite. With a stay at B&B Casa Vincenti Country House in Cameriano, you'll be within a 15-minute drive of Martiri della Liberta Plaza and Sacred Heart Church. Free self parking is available onsite.